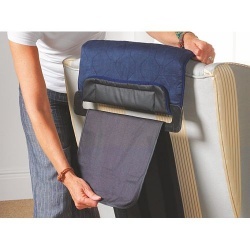 The HomeGlow B-Warm Heated Seat Cover provides relief to cold or aching limbs but also to your bills. Designed to give concentrated warmth to the user while instantly reducing heating costs, the Homeglow B-Warm costs less than a penny per hour of use! 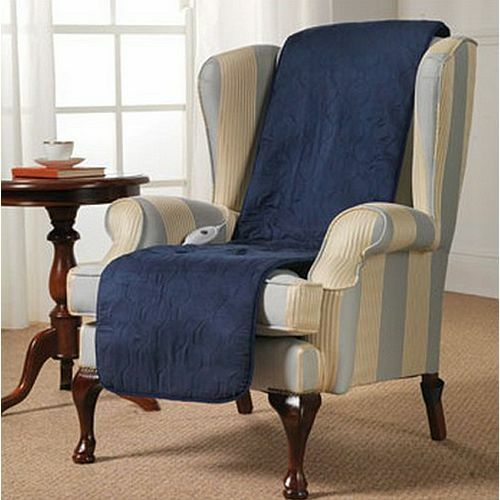 Simple to attach to any chair and easy to control with 4 adjustable settings, the B-Warm Heated Seat Cover delivers customised heat therapy to the user without disturbing the ambient temperature in the room. Ideal for care environments where heating costs can quickly rocket up in the cold months, and where the desired level of heat may not be the same for everyone, these seat covers offer a comfortable, affordable, easily adjustable heat alternative. 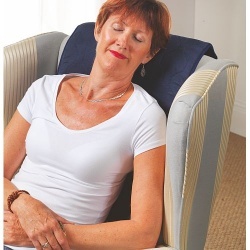 With a head-to-toe cover of any chair, the HomeGlow B-Warm Cover offers a complete heat treatment, warming the neck, back, knees and legs for all-over relief from Raynaud's Syndrome, Arthritis, Cramps and Aches and Pains. The HomeGlow B-Warm Heated Seat Cover comes with a 2 year warranty. Recently started using this cover on my office seat and it has made such a difference. I previously used to get a really back neck pain due to being cold and hunching my shoulders. I also used to sit at my desk in a fleece and a scarf to keep warm. I feel much more productive now and would definitely recommend this product.